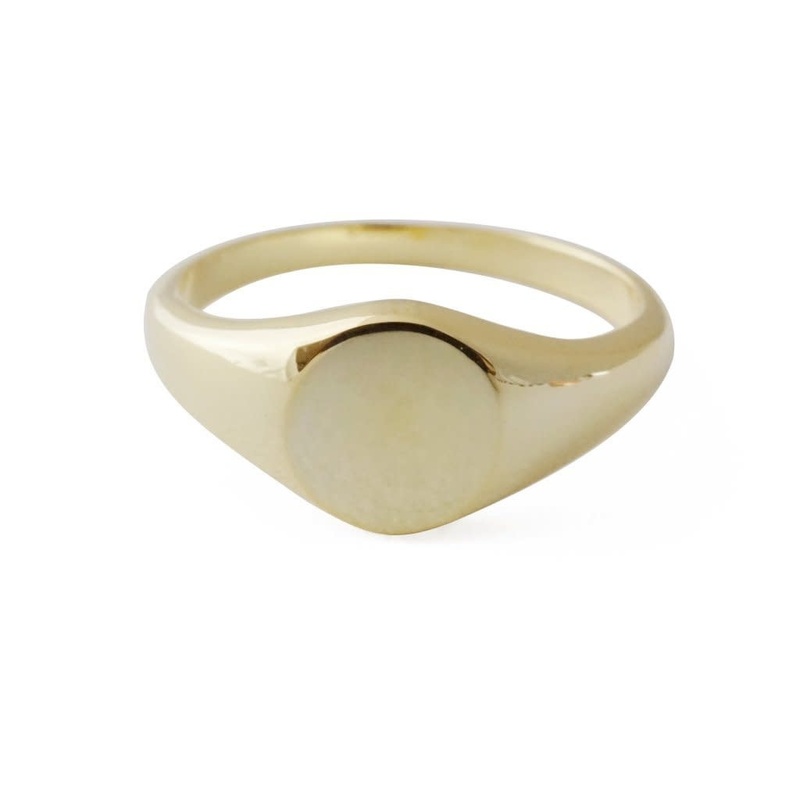 A miniature, sweet signet ring in a slim band with a flat, blank top. Our materials make for an amazing, high quality, seamless, jewelry piece with longevity. Our rings are plated with 24k gold, 18k rose gold, or sterling silver and finished with a protective coating. A little secret we’ll keep between us: it looks way more than it costs.